ICF International announced April 18 the appointment of Colette LaForce as Senior Vice President and Chief Marketing Officer (CMO). In this role, she will lead global integrated marketing for ICF, including marketing strategy, branding, demand creation, corporate events and analytics as well as external communications, including media relations. She also will become a member of ICF’s executive leadership team. LaForce brings more than 20 years of experience leading global marketing, product marketing, digital marketing and communications teams to the position. 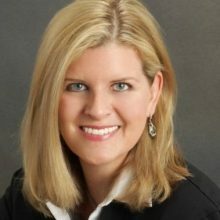 She previously served as CMO for IT and digital business solutions provider Dell Services, Fortune 500 technology provider AMD and, most recently, digital consumer platform Cars.com. LaForce began her career at Accenture and was named a Fierce 15 CMO in 2013, one of the Top 50 Most Powerful Women in Technology in 2014 and one of the 50 CMOs to Watch in 2016. She earned a bachelor’s degree from the University of Notre Dame. LaForce will assume her new position on April 25.